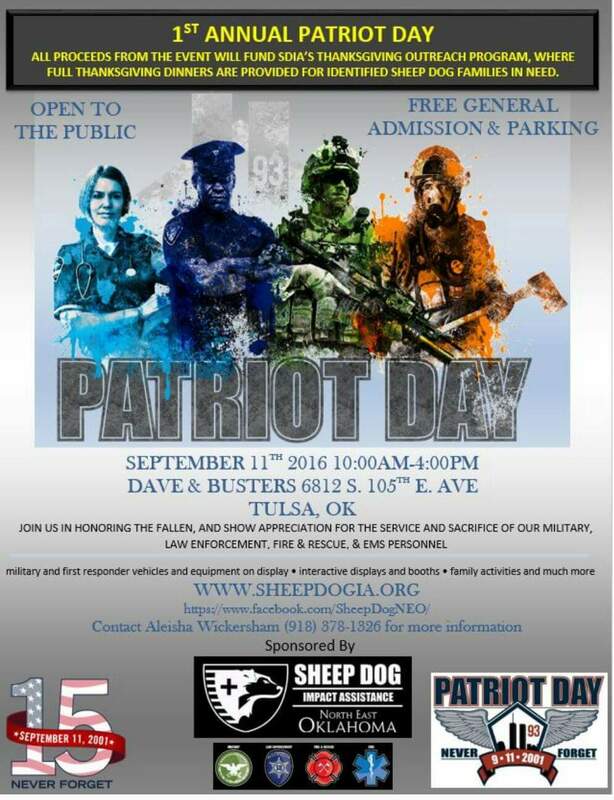 News > Don’t Miss Out – SDIA’s Patriot Day Events are This Weekend! 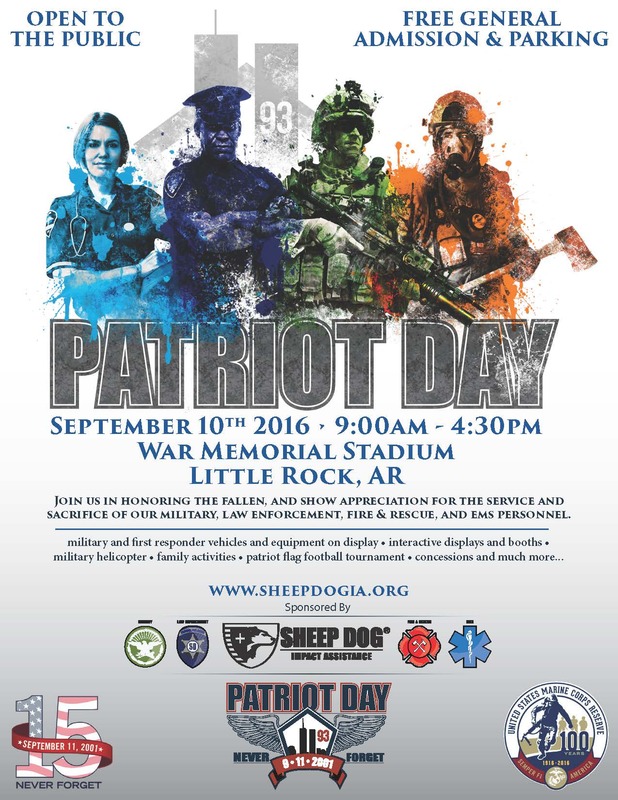 Don’t miss out on the fun as we honor the fallen and show appreciation for the service and sacrifice of our nation’s Sheep Dogs – those who serve (or have served) in our military, law enforcement, fire & rescue, and EMS professions. If you live in Arkansas, Kansas, Michigan, Northeast Oklahoma, or Eastern North Carolina, we hope you will check out their respective Patriot Day Events! Proceeds from all events will fund SDIA’s Holiday programs, so the more money raised means more struggling Veteran and First Responder families will have happy holidays. (Click these links for more information about out Thanksgiving Outreach and Christmas Outreach programs). 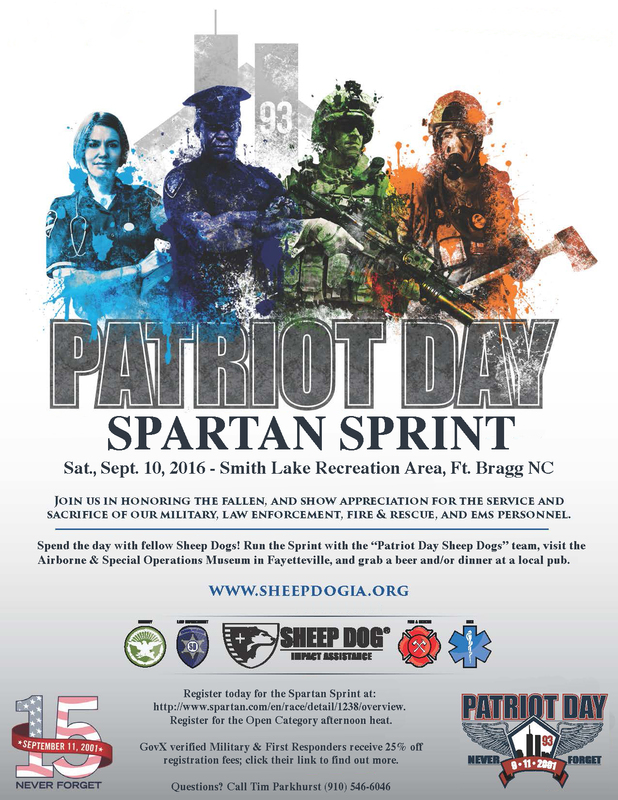 Held in September each year, SDIA’s Patriot Day events honor the lives lost and those injured in the terrorist attacks on September 11, 2001, and provides an opportunity to show appreciation for the service and sacrifice of all our nation’s Sheep Dogs. This year marks the 15th anniversary of the 9/11 attacks. All activities are free of charge, though donations are welcomed and appreciated. Concessions will be available at Gate 1 Stadium Concession stands. 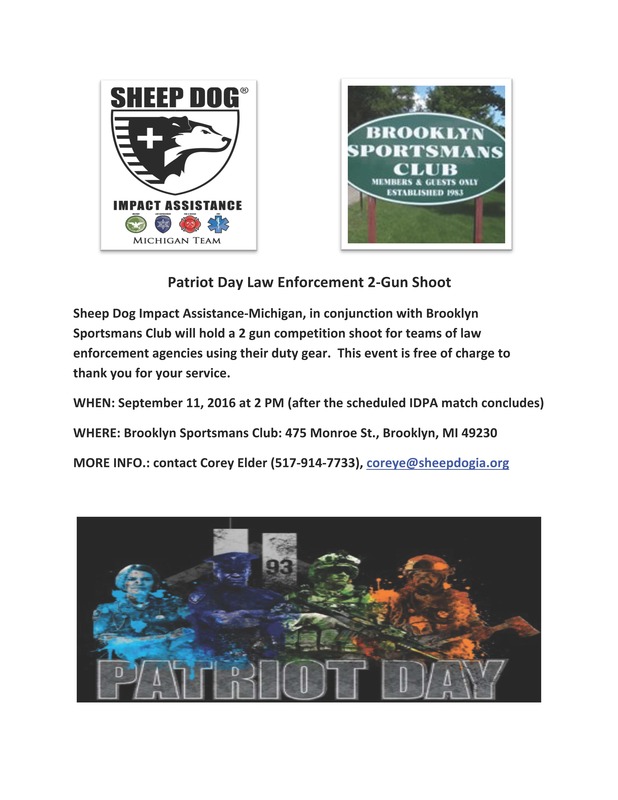 This event is the perfect opportunity for children and adults to get to know their local Sheep Dogs – the men and women who make up our military and first responder professions. Attendees can meet them, learn about what they do, and see and touch vehicles and equipment, watch K9 and rescue demonstrations, visit interactive displays, children’s activities, vendor booths, and more activities from 9:00AM to 4:30PM. Inside the stadium, beginning at 7:30AM, the Central Arkansas Chapter’s “Patriot Bowl” 8-on-8 Flag Football Tournament will be going on. 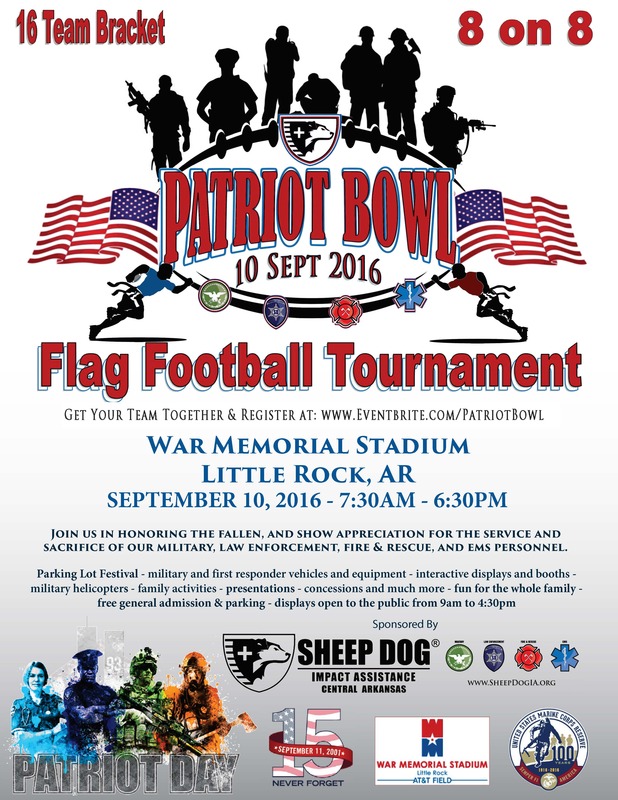 Teams from all over the region will compete for the Patriot Bowl trophy and bragging rights. More information and team registration can be found here. This year is also the 100th anniversary of the United States Marine Corps Reserves, which will be commemorated with a special Centennial Celebration at the event. 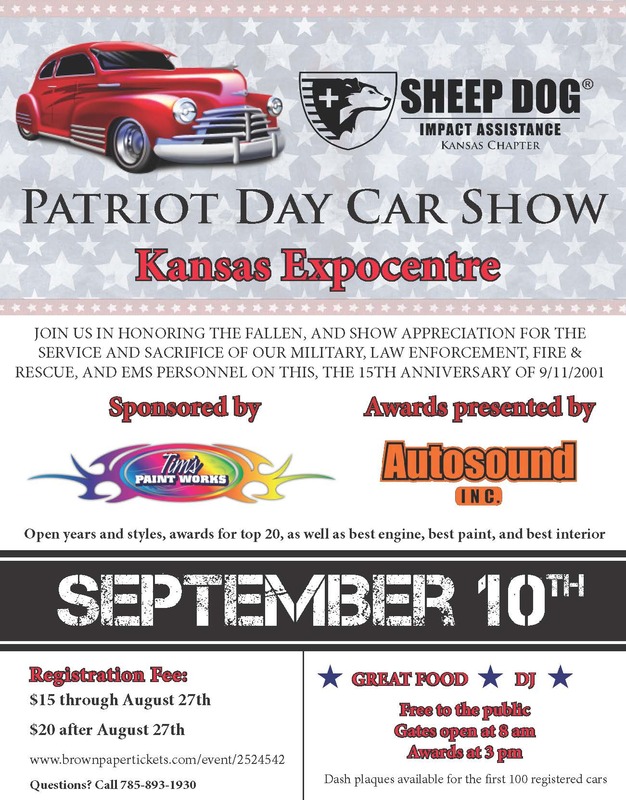 More information on the Patriot Day Car Show can be found here. 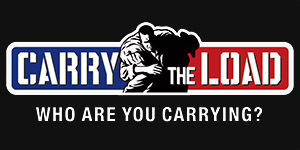 For more information, contact Corey Elder at 517-914-7733 or CoreyE@SheepDogIA.org. Contact Aleisha at 918-378-1326 or AWickersham@SheepDogIA.org for more information. What: Spartan Sprint & Day with Fellow Sheep Dogs – Spend the day with fellow Sheep Dogs! Visit the Airborne & Special Operations Museum, run the Sprint, and grab a beer/dinner afterward. Contact Tim at 910-546-6046 or TimP@SheepDogIA.org for more information.